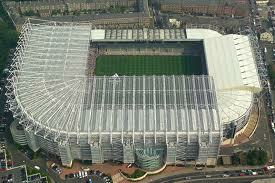 Newcastle United v Manchester City Premier League Scores and Video Highlights. Premier League Scores: Result, Match Analysis and Highlights from the Match Day 16 EPL Fixture between Newcastle United vs Manchester City on Saturday, December 15, 2012. Includes Video Highlights for U.S. viewers (as available). I came into this predicting a 2 – 1 Manchester City win following their Derby day defeat last weekend. Roberto Mancini started with a strong attacking side and was clearly going for a much needed win. Sergio Aguero opened the scoring in the 10th minute with some fantastic movement. Samir Nasri took a great through ball into the right side of the penalty area and, with Tim Krul closing him down, crossed low for Sergio Aguero, making the run, to smash in putting the away side up 1 – 0. In the 39th minute David Silva sent a fine in-swinging corner into the box where Javi Garcia headed in giving City a 2 – 0 lead going into the half. Manchester City was largely dominant in the first half. However, this changed in the second half as Newcastle stepped up their game. As Newcastle began putting on more and more pressure they finally got their goal on a corner taken by Fabricio Coloccini in the 51st minute. Demba Ba headed from the middle of the box into the top left corner out of Joe Hart’s reach pulling a goal back to make it 1 – 2. Following Newcastle’s goal the game got very interesting with both teams creating several chances and plenty of end to end action. Newcastle’s problem came in just not being clinical enough in front of goal. Yaya Toure put the game away in the 78th minute with a shot from the middle of the box into the lower left corner of Krul’s goal. In the 85th minute City should have had a fourth when Aguero shot wide instead of passing to Edin Dzeko. The third minute of stoppage time had City on a 3 on 1 breakaway, but Dzeko played a lazy ball to the wide open Aguero, that was easily cleared for a corner. They were not given time to take the corner as the final whistle blew. The match itself was fun to watch for any neutrals (or City fans) and had plenty of action. Both sides had their fair share of missed chances, but in the end it really cost Newcastle a result. With the win City pull themselves back within 3 points of leaders Manchester United before their 10:00 (ET) kickoff. Home » Results » Newcastle United v Manchester City Premier League Scores and Video Highlights.